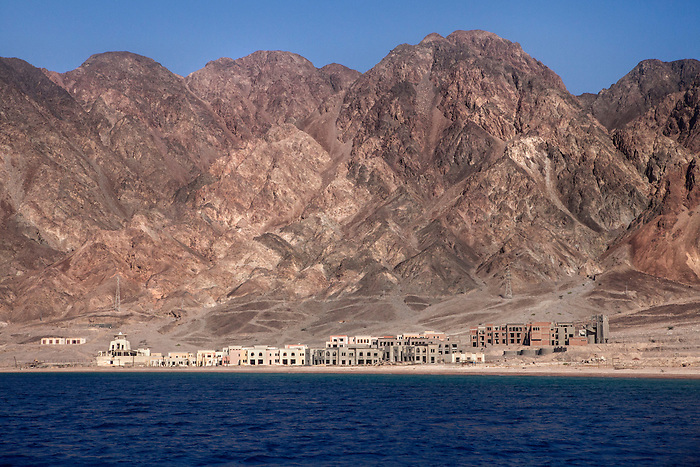 Taba, Sinai, July 2014. From the Israeli border to Sharm El Sheikh, almost the entire cost of the Aqaba Gulf is built with tourist infrastructures. However, 3 natural parks initiated under Mubarak's government are limiting the deterioration of the cost.